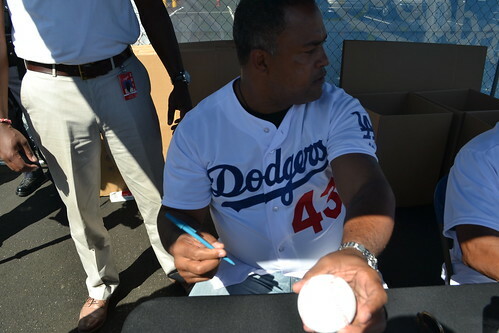 Raul Mondesi was at Viva Los Dodgers signing autographs. He was also collecting used clothes for his hometown. I brought two sweaters. Any fan that brings a donation were going to get in a priority line. So there was two lines, one that brought clothes and another one that didn't bring anything. I was in the priority line and I knew right away that there was going to be a bit of confusion. Not with the fans but with those that work the event. 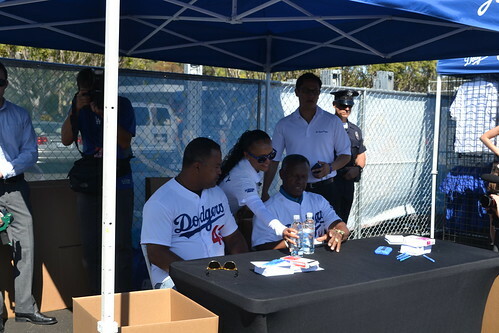 Mondesi and Manny Mota sat in a table and the first fans in the priority line got Mondesi right away. Mota was just sitting there doing nothing and he called the fans that are in the 2nd line to come over. 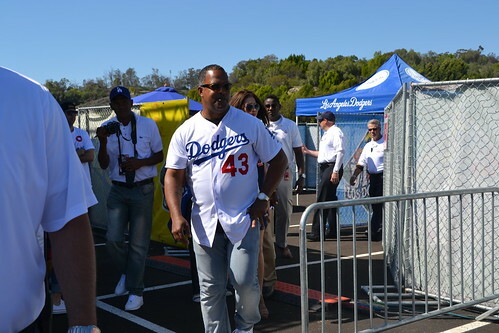 Those fans got Mota and went and got Mondesi too. I don't blame them. They were just doing what Mota told them to do. It's just dumb to say that there will be a priority line if you bring in clothes. All this happened at the beginning. I have no idea if they changed it or if fans complained. I made a huge error. I thought my Dodger seat was in my car. I didn't realize that I had left it home until I got to the stadium. 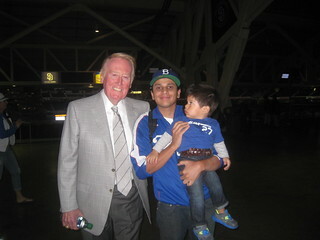 I ended up getting a baseball signed instead of my Dodger seat. 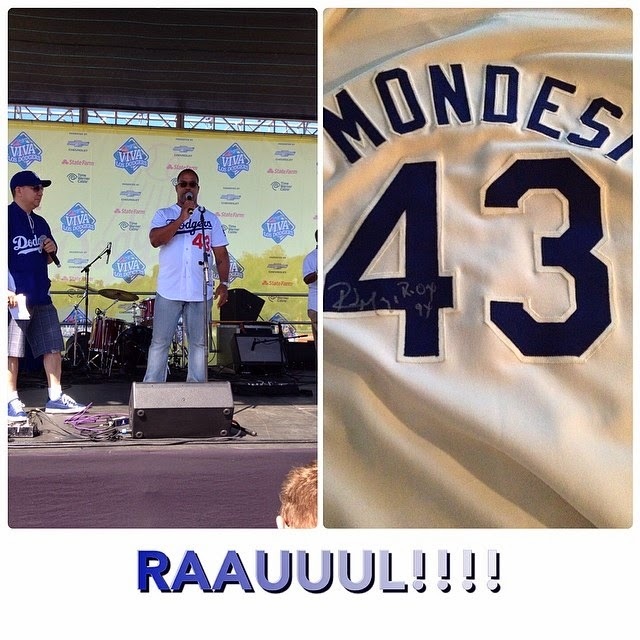 I can only hope that Mondesi returns soon. 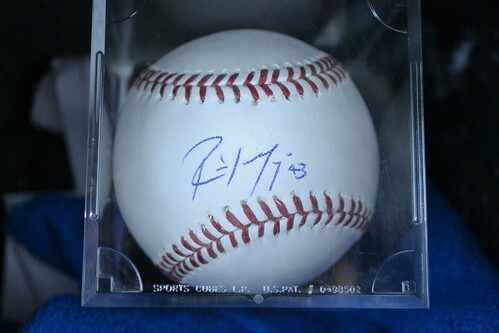 But either way, it was nice meeting Mondesi. I left right away after I got Mondesi. I couldn't stay for the game. And see this picture of my brother. He was a big fan of Mondesi. This is a jersey from the 90's and he got him to sign it. Looks really nice. 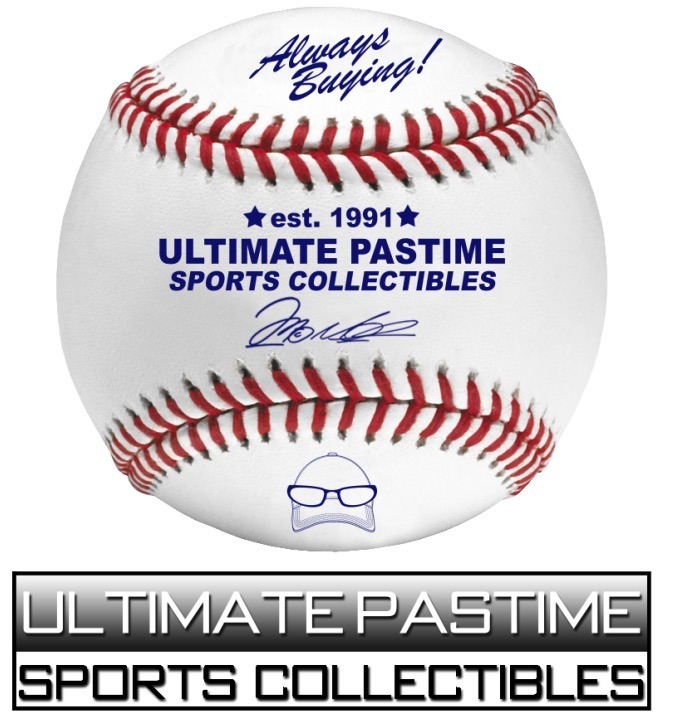 rauuuuuuuuuuuuul! i wish i could have been there.